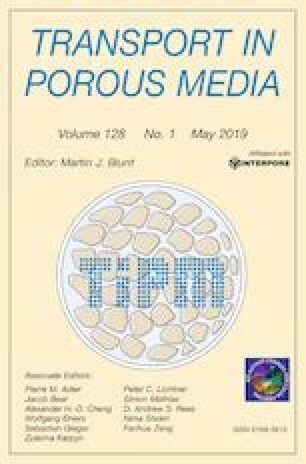 To celebrate the tenth anniversary of InterPore, we present an interdisciplinary review of colloid transport through porous media. This review aims to explore both classical colloid transport and topics that fall outside that purview and thus offer transformative insights into the physics governing transport behavior. First, we discuss the unique colloid characteristics relative to molecules and larger particles. Then, the classical advection–dispersion–filtration models (both conceptual and mathematical) of colloid transport are introduced as well as anomalous transport behaviors. Next, the forces of interaction between colloids and porous media surfaces are discussed. Fourth, applications that are interested in maximizing the transport of colloids through porous media are considered. Then the concept of motile, active biocolloids is introduced, and finally, colloid swarming as a newly recognized mode of transport is summarized. The online version of this article ( https://doi.org/10.1007/s11242-019-01270-6) contains supplementary material, which is available to authorized users. The work related to the experiments on swarm transport in fractured and porous media, simulation runs, and analysis was supported by the US Department of Energy, Office of Science, Office of Basic Energy Sciences, the Geosciences Research Program, under Award Number (DE-FG02-09ER16022). We also acknowledge the support of the Natural Sciences and Engineering Research Council of Canada (NSERC). The authors would also like to acknowledge Dr. Sarah A. Charron for her helpful insights into the role of colloids in medical sciences.